This is a project i did a while ago. I made one for my self and two as gifts. I decided to crack open the one I had left, to get some photos and video of the inside. I also did’t remember how I connected the pins to the ATMGEGA 328P. It uses two standard hobby servos, a home made ATMEGA 328P PCB-Board and a MOSFET to turn the power to the servos off in sleep mode. The switch is connected from an input pin trough a 470 Ohm resistor trough the switch and to ground. This will set the input pin to low when the switch is closed. I then use a interrupt to wake the microprocessor. The PCB that I made has two power inputs. One +5V for the microcontroller, and one +6V for the servos. 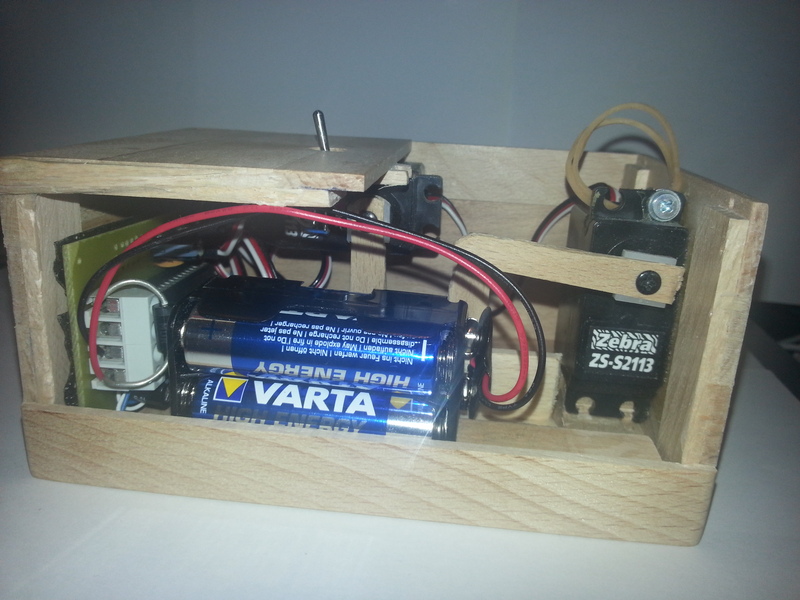 In this box I use 4 x 1,5V batteries for power. This gets the +6V connected. To get +5V, I connected a diode from +6V to +5V. The voltage drop over the diode is 0.7V, and I then got +5.3V for the microcontroller. This seems to work OK. The switch is connected to S15 (pin 2 on Arduino). The servo for the lid is connected to S05 (pin 12 on the Arduino). The servo for the switch is connected to S06 (pin 13 on the Arduino). MOSFET is conntrolled from Arduino pin 8 (Thats why S01 is missing on the PCB). 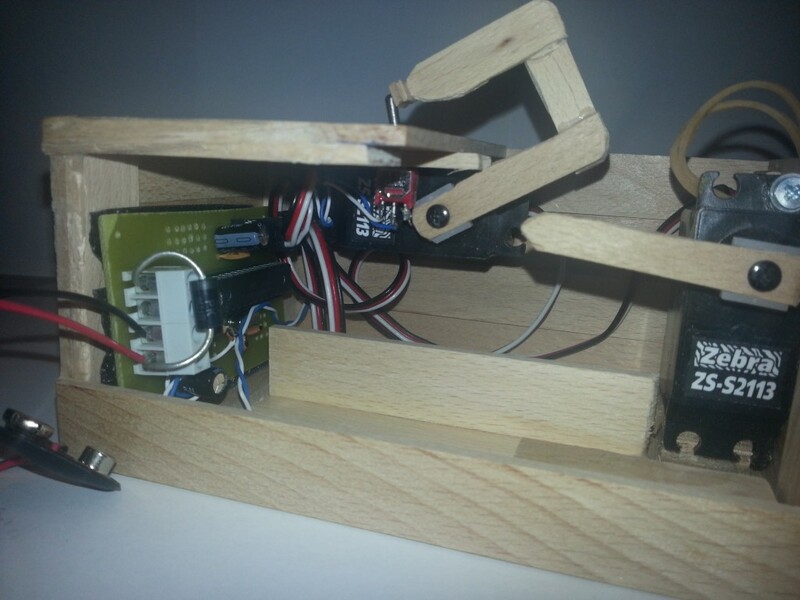 The ATMGA 328P is programmed on an Arduino. The MOSFET on the picture below is not in the same place as the new version of the PCB. The contruction was a bit tricky. One servo turns off the switch, and the other open the lid. The lid uses two nails to allign the edge to the box. I use a rubber band attached to the inside of the lid. I then use a piece of foam to hold the batteries firmly in the box. Two straps (wire) as marked on the silk screen. // Put all unused pins to input high to save power. if(!boxon) //boxon should actually be called boxoff. Did a mistake here. ISR(INT0_vect) // Step rising edge interrupt. Switch flipped. boxon=digitalRead(2); //Read the switch a couple of times to avoid a nasty non working thing some times. Better use this file : UselessMachine.pde <<<<<—–Download this! Someone in europe who could build and sell this to me? Your project is amazing! Do you still have the schematic? if you do, can you send it to me? Please tell me the complete circuit diagram of the PCB, because I am not able to make a PCB. Thank you. Sorry to be a nag, but any news on the schematic? Viewing your machine has created a group of simpleton electronics wanabees i’m afraid. This looks amazing! If you have plan to make and sell them, let me know. I’d buy one for a fair price! 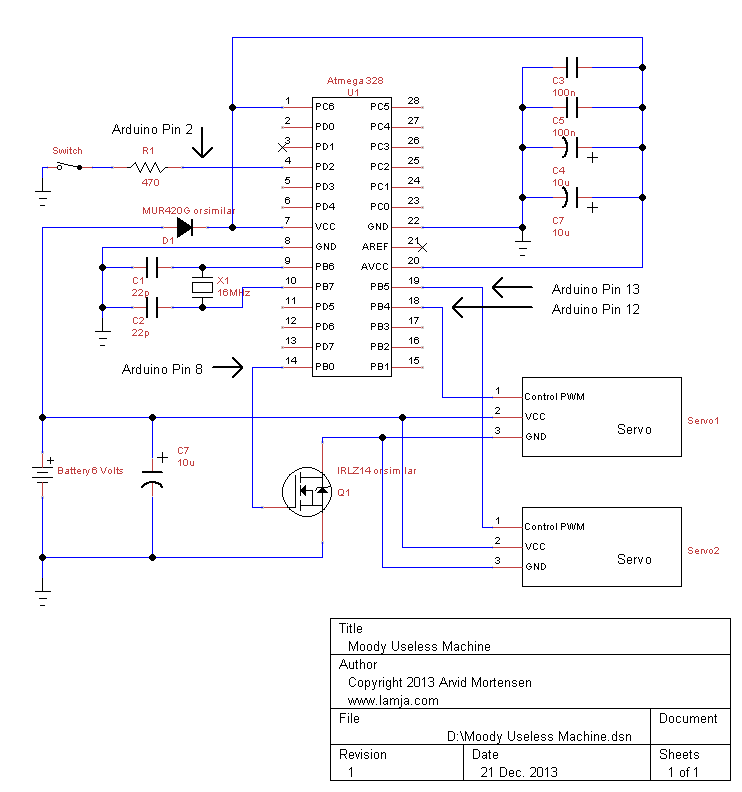 I’m doing this ‘useless’ machine for an arduino project for university, but I have a very basic understanding of it and cant vibe with this field very easily so I was wondering if you could break down how to make a simpler version of this, and break down of the code? It would mean so much. I’m using 1.0.5 with Arduino Arduino UNO and received the error message below, would help? Resolved, to copy text with formatting code created small tab spaces that caused the errors. Hi. Glad you find the error. Uploaded the file also, so it can be downloaded correctly. Link just above the comments. I would like buy this. Can somebody sell it for me? I guess you copy the code from page? Try the download link instead. That would work better. Hi first of all your box is amazing. Very cool really. I’m from Germany so sorry for my bad english. I build your box with the same Programm and the same PCB like you. It seems to work. 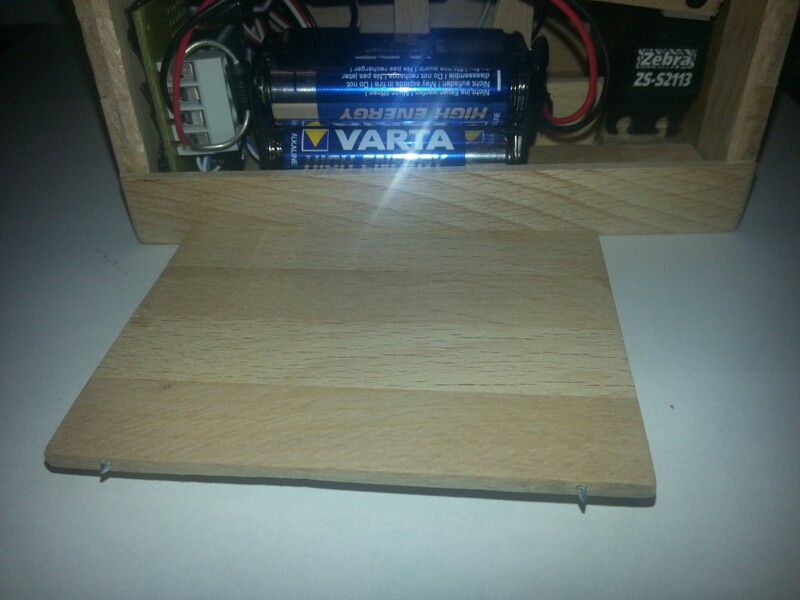 If the Switch is on and the pcb is connected with the batteries the servos move. If i turn the Switch of the servos Ends the current Programm step and don’t move anymore. So far so good. Now the Problem. When i turn on the Switch again nothing happens. Only if i let the Switch in the on Position and disconnect the batteries and connect them again, the servos work in the same way i describe in the top. I realy don’t know why. I hope you understand my english and maybe you can help me with this Problem. Thats what I can think of. Hope it helps. First of all thank you for the fast answer. So now first of all yes i used the downloadable code. So i think it is not the problem with the several read of the switch. But what do you mean with the interrupt is not set up? These programm lines are in the downloadable code or not? Yes, if you use the downloaded code, the program lines are included. I’m not shure why you get this behavior. Is the switch connected from the pin from the ATMEGA328 via the resistor (470 Ohm) to GND? Then it should have worked. You can maybe try to lower the reistor a bit. There should be an interrupt occuring when the pin goes low. Hi, is it possible to have one made that I can buy off you? This would make a really fun toy to sit on my desk at work.. I too would like to buy one ready made but I noticed you haven’t replied to any similar requests…do you sell them? I just want to help the people build a owen useless box. No reason to delte my comment. Not everybody has the knowledge and the material to build everything alone. So if someone needs help, material or a pcb contact me. Sorry for my english, i am from Estonia. Tell me please, is this hard? What i need for it? And thank you very much for help! and i can build my own box? I read how to program chip, really easy. Basically yes. What I did also, was to create my own PCBs, so I did not have to sacrifice the Arduino UNO. Then I bought some https://www.sparkfun.com/products/10524 bare Atmega328 chips to program with the Arduino and move them to my own PCBs. If you use the Arduino UNO in your Box, you will need higher voltage from the battery. Then the voltage may be too high for the servos. Ok, i’ll try. Voltage is not a problem, i make something. Thank you for all. a BIG thank you for this project! I want to build this with an Arduino UNO. But at which ports I must connect the servos? Do I modify your code for Ardunio? The ports used in the code is digital pin 12 and 13. The Switch is connect to PIN2 and the ground at the Arduino? And the MOSFET to ground and the ground at the servos, right? thank you for assistance with the pin problems. I build the machine with my Ardunio and lower the voltage from 6V for the servos to ~5V for the Ardunio with a diode. But the servos running weird. The lid servo open and close the lid in a loop (open, close, open, close…) and the switch servo doesn’t respond. I see the orange light at the UNO when the lid servo is addressed and just a slight flicker when the switch servo is addressed. Is this a code problem? I read about the copy and paste problem and download the code. But I think it could be a power problem with my Arduino. If I connect my notebook to the Arduino, both servos are working. The wrong direction but both are working. Can I invert the values of the servos? If I disconnect the notebook I got the same problem (only one servo is working). To reverse the servos, you’ll need to edit the prdefined positions. You should anyway do this as two servos never are the same, and your box probably is not exactly the dimensions that I made. 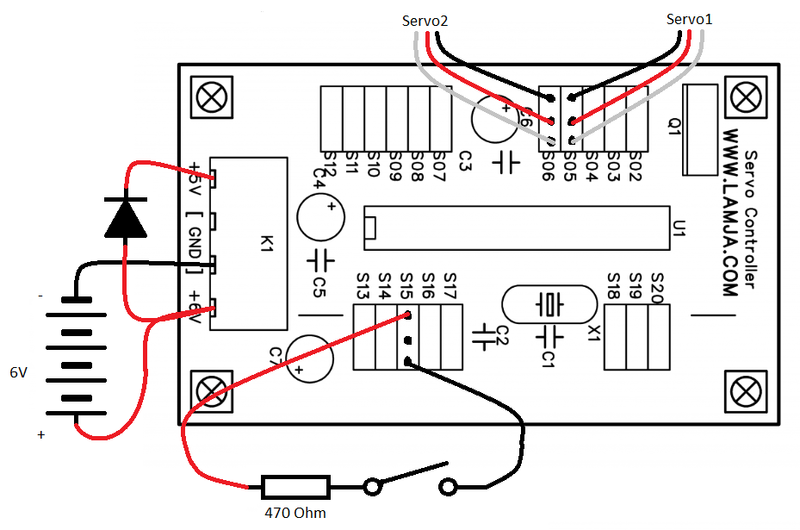 Do you have a schematic diagram for the circuit? Hello Arvid. Great stuff, man!! There are dozens of versions of this “Useless Box” toys around the net however, your’s is the best Project overall, especially because of this page!! Congrats! I’ve built three of these boxes to give to my nephews for XMas. The mechanical bits are done and the program loaded on the Arduino IDE (I decided to use the Random mod). Now, all I’m missing is the electronic schematic, so that I don’t have to trace the PCB for the proper connections. Would you happen to have it handy? Would you be able to sent it to me by email or post it to the site, since so many people have already expressed their desire to have it as well? May I have your email, so that I can send you my Fritzing file? That way you can just double-check it and fix any mistakes I may have made (I am NOT well versed in that program!). Afterwards you can post it here. The schematic can be found above in the post. I’ll send you my file anyway. Thanks for helping out with such shirt notice, and Congratularions again on your great project! Merry XMas and a Great New Year! Hi. 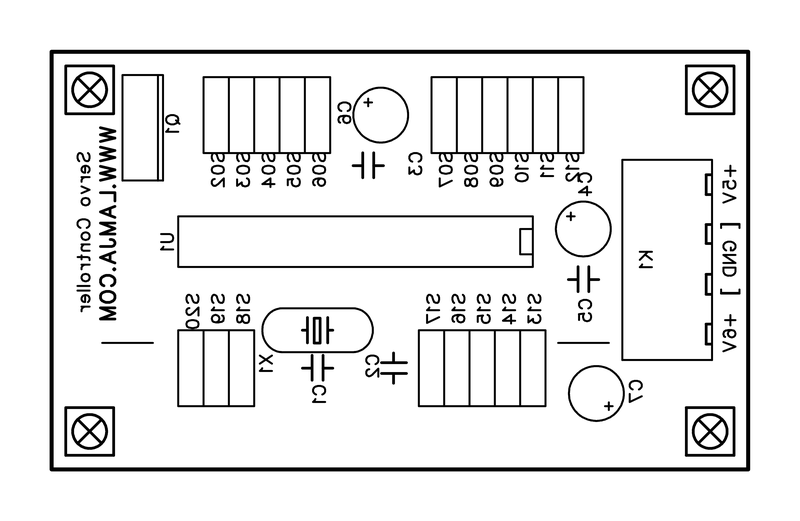 C3 and C5 is to get capasitors close to the two power pins on the ATMEGA 328. This is usually very important with any IC. C6 and C7 is electrolytic capasitors to pair up the ceramic ones (c3 and C5). Ceramic capasitors are good for high freq. filtering, and electrolitics are good at low freq. filtering and power reserve. These four capasitors are all on the 5V rail. I also included one capasitor on the 6V rail, to make the servos happy. I know it might be overkill, but it’s easier to put them there in the first place, rather having to search for a noise problem afterwards. Remember that the servos can generate some nasty noise. The problem you have. It might be the resistor. I’m not sure why I put it tn there at all. 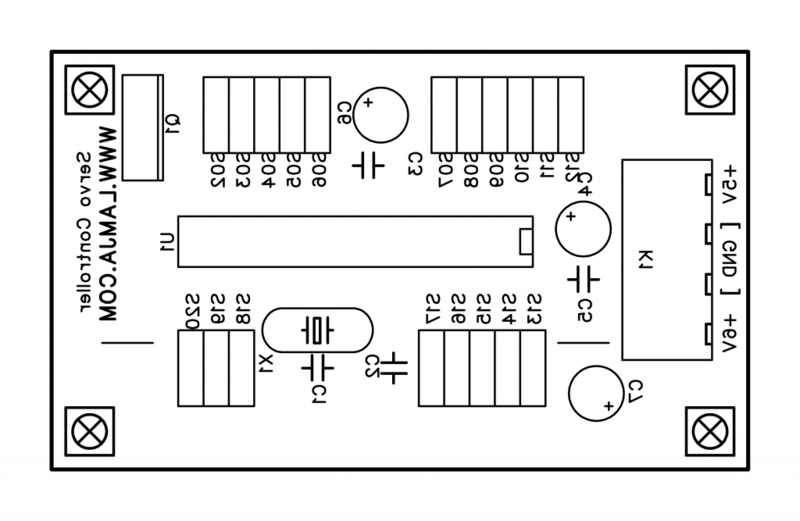 The pin for the switch should be pulled up internally in the Atmega328, and it only need a Connection to ground to make the interrupt. You can try lowering this, or remove it completly. I’m not sure what will happend to the power usage of the atmega if you do. I don’t have an Arduino, would it be possible to buy a pre programmed ATMEGA 328P form you with random actions? Yes but you need a standalone arduino or a Lamja servo controller board. Quick question, would it be possible to remove the ATmega328 from an arduino and drop an ATmega328 with Arduino Optiboot (Uno) from sparkfun load up the code here take it out and it be good to go? Sorry I’m a total newb to arduino. 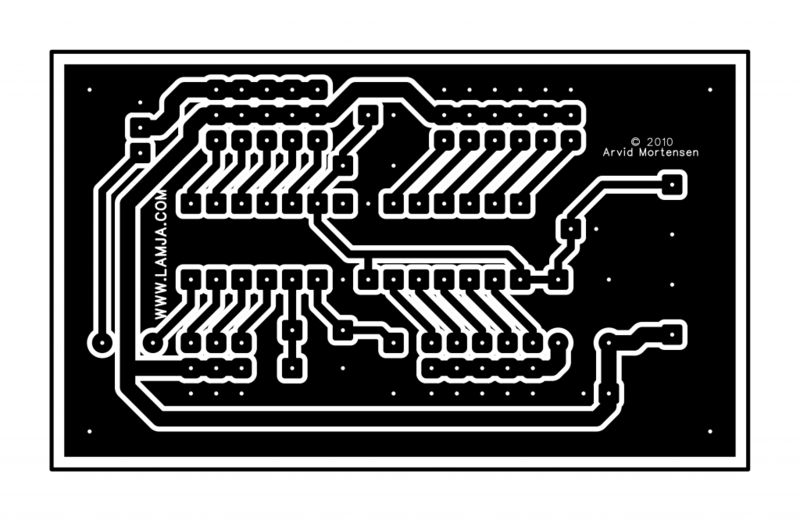 The atmega is shipped from Sparkfun only with the bootloader, you will need to record the “LAMJA firmware” in the new atmega. The best solution would be to buy an Arduino NANO USB and which is reduced in size, or an Arduino UNO to a slightly larger box. I would like to buy one of these boxes. If possible please contact me. Hey, guys. Need a little MOSFET help. I don’t want to spend 8 bucks for an IRLZ14, it says anything with a similar pinout, so would the IRF510 power mosfet work? I have one of those laying around. Just not sure and I can’t find a decent cross reference. I have connect everything and upload the code, but the servo didn’t move any idea how to identify the error? No currency in the mosfet left and right pin ? Is it possible to take a “ATtiny85” and not the ATMega328? I’m not sure how many servos and digital in out you can use on that. But sure if there is enough pins. Great project, just had a question on the dimensions of the box you built and the dimensions of the PCB. 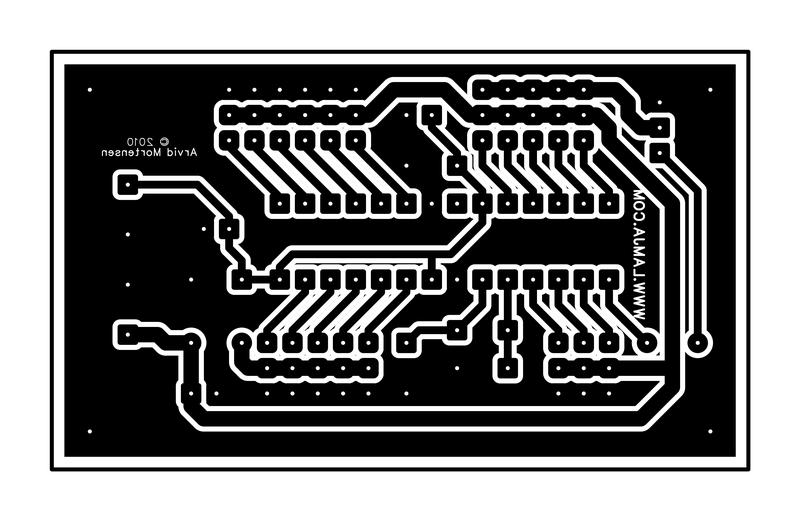 I plan on attempting to etch my own PCB at home and building this project for fun. Yes I would also like to know the dimensions of the box. This is an amazing project and while I’m extremely new to arduinos I’m eager to learn by trying my hand at building one of these myself. Thank you for posting as much as you have so that the rest of us have something we can work off of. can i program the atmega328p with this ? USB Serial Light Adapter ? can i program the atmega328p with a raspberry pi ? or can i do it with a TXD RXD GND 3.3V cables ? how then. Can i use a Arduino Mini 5 instead of atmega328 p ? I never had tryed something with Arduino? Or is it possible to put the code directly? You use the Arduino only as a programm interface? 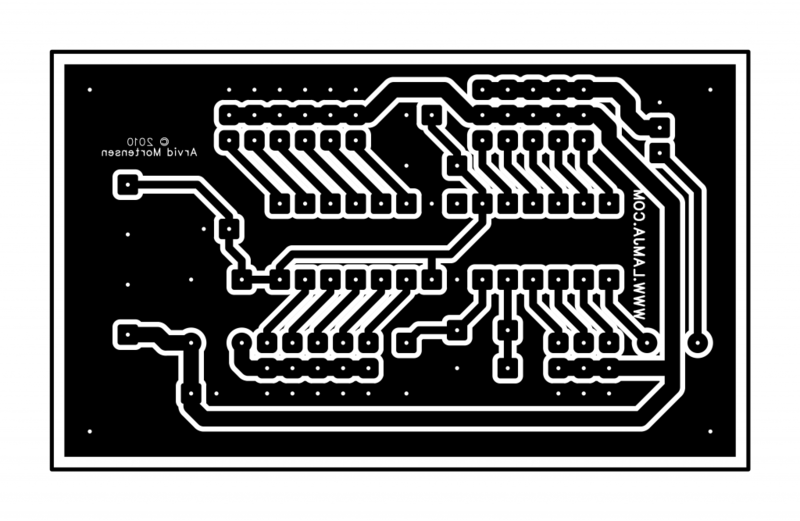 Is your PCB-Layout an Eagle file? That is 32 bit, so my code not work I guess. I think Arduino have released som 32 bit enviroment, but I have never tried it. Where can I get the right and ? I’ve I can build the electronic, i will send you the files to make the woodwork by CNC-Router. Have you implemented this project with Arduino mini pro? Could you please show me the scheme of connection? someone could do with the Arduino one? could send a photo of the connections of the servos. and tips about the voltage and if you used a mosfet or not. Thank in advanced. Any help will welcome. 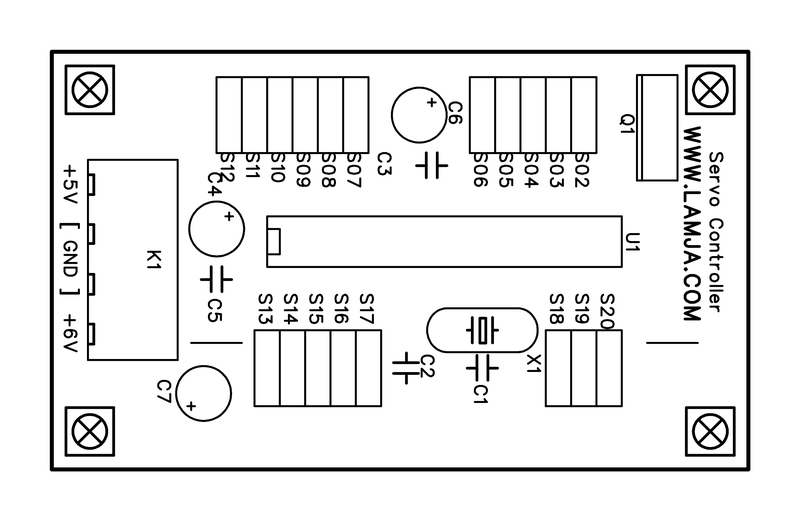 It says in the Schematic diagram: what pins to connect to. Mosfet is to save battery. Eg. turn of servos when not in use. Pretty slick! I don’t have the stuff to make the PCB… but I have everything else… I think I will pick up a proto board and give this a shot! Very cool. Clever diode trick for the microcontroller voltage. How would I wire the servos if I just wanted to use an UNO, two servos, and a 5 volt power supply from the wall? I see the signals from the servos go to pins 12 and 13, the switch goes to pin 2 with a 470 Ohm resistor. I take it the servo ground wires would go to the GND pin and the servo power wires would go to 5v pin and the switch, correct? What is that box you used? Is that something you made yourself, or did you use a sigar box or something similar? I like how it doesn’t seem to show the opening door (at least on the video) and just looks like a box with a switch on top. I made it myself. I used small wood sticks, glue and a lot of sanding. And yes, it was one of my intensions to make it look like there is no lid when it’s closed. It’s the best I’ve seen on the net so far. Definitely sets the bar 😉 Guess I’ll have a nice hobby project for the time to come. Use the download link for the code. I think htere are some crap if you just copy it from the page. I’m trying to build this with ATmega8 instead of Atmega328 and got stuck at the code. I think there is a problem with sleep mode on Atmega8, maybe it’s different. Is ther any solution for this ? Hi. Not sure. Haven’t worked with Atmega8 before. But your’e probably right. Can you explain the code in detail for me, maybe it will be a little help. DDRC = 0; // i dont understand from there, please help. I see f.ex. that interrupt register in Atmega8 are called GICR and GIFR. Since this code uses interrupt and Power save, there might be some work to port it to antoher microprocessor. 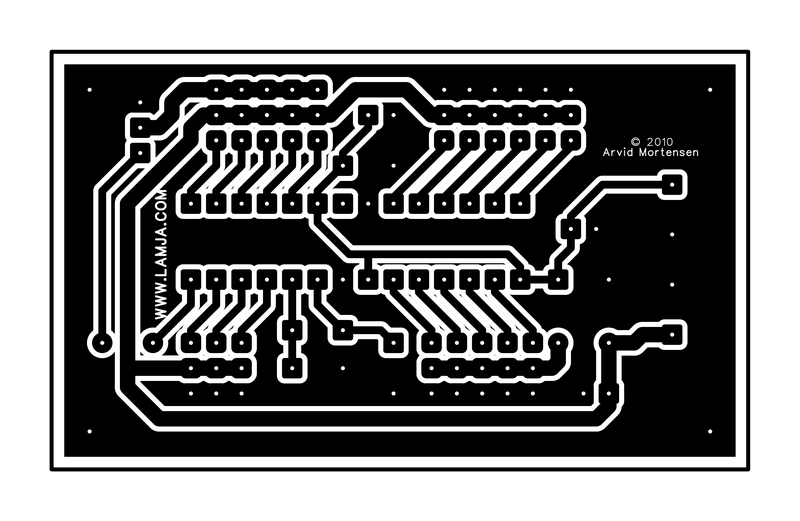 have you complete the machine with atmega8? Great project – going to start building it now. The period shouldn’t be there. I've read that it has something to do with the board you are using… does somebody have the equivalent code for my original arduino? Great project, really want to make one using the Arduino Uno. Does anyone have a wiring diagram and components list for this method please? Also is there any drawings of the servo arms? Thanks again. Hello, very nice project! Can someone translate it for an arduino board? A connectiondiagramm would be fine! Hope someone can do this! Thanks for posting this great project. It was so much fun to watch the YouTube, that as an abject and absolute know-nothing of way too mature age, I was inspired to purchase a beginning Arduino kit, some books on electronics, and do a bunch of web research. After a few weeks, I now have a working model using a Nano on a proto-board and now know enough to have modified to code to suit me (it now starts our un-grumpy and becomes more grumpy before going random), added some LED “eyes” and did other things. I’ve more fun than the proverbial barrel of monkeys. Thank you so much. Never too old to learn. Can you please post a video of your machine? Would love to see it as I was thinking about building one myself and most of the stuff posted by others is way above my head. You’re the first one to make this seem buildable by mere mortals. I got mine working on a beginner UNO Arduino kit board and then used a Arduino Nano on a board in the final box. It took some time, but was a great learning experience for me. Really nice work. I like the eyes. Would you share your code with us? That’s a fantastic addition to the original box. The random Method didn’t catches all sequences, most of the special ones aren’t proceeded at all. So maybe a new version of the code would be required for further compatibility. are only for not random and need to be deleted or commented (//) for properly functioning of random sequencing. I’m up to coding some more sequences to increase the variety. I gues that is because the sleep function on Intel chip is a lot different from the Atmega. You will have to remove the sleep code. Or rewrite it. I have no experience with Intel Arduino. this is my new error on an useless machine sketch that is build for an uno board I get it loaded on the intel but I can not get this code loaded.do you think this might be to-do with the intel board or me I am aware a do not know anything at this stage of arduino. Try commenting out all lines with an error. Put // in front of line.I think I remember they are just to save power. And also make sure you download the code with the link http://www.lamja.com/blogfiles/UselessMachine.pde and not by copying the text. I will try doing this I have downloaded the code but I will download again maybe I got confused and copy’d the code. Thank you very much! A very interesting project! Decided to put myself the same! I used the Arduino Pro Mini. From your scheme left only: R1, Q1, D1, C7. Do I need to C3, C4, C5 and C6? Sometimes the servo that controls the lid stops not in the correct position. Maybe it’s because of the missing capacitors? Hi. No I dont think you’ll need them. The Pro Mini should take care of that trasient current. I wonder why then the servo is not working? Maybe somewhere else you need to change any data on the servo? For instance initialization servo or something else? Servo1 races occurs at the end of each command. She abruptly goes for reading S1til, sometimes even heard a crunch in the servo! I changed the servo, the other is the same! It is a pity to lose the servo! I will accept any help! Hi. You may have to experiment on each servo to se what angles it will handle. Not every servo hadles the same extreme angles. That meaning what is the maximum and minimum angle for that servo. 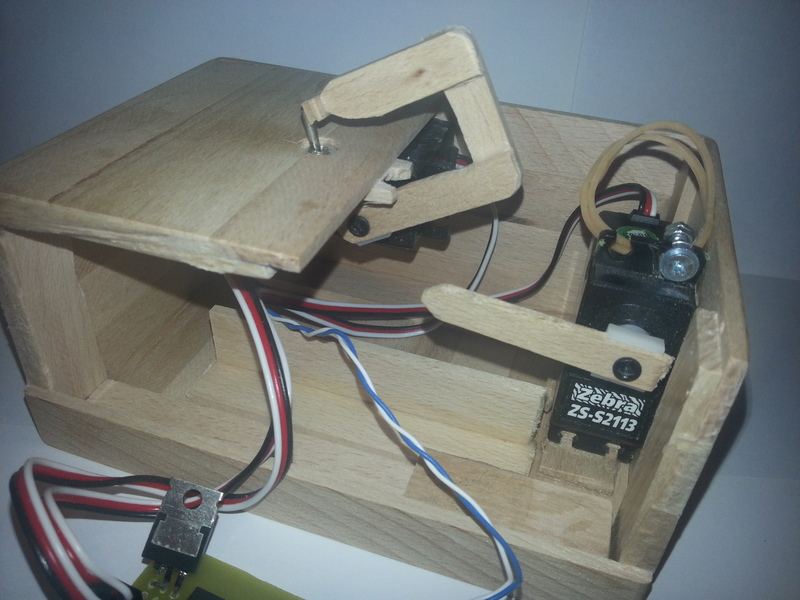 If you set the angle to high or low, the servo will stop and make a humming sound. I stand servo hextronik HXT900. Operated from 700 to 2300. I think it exposed me reading – her missing. Several times it can open and close normally. But then … it is like a mad! Very dangerous jerks! Could this be what I use IRFZ44N? Hi. That may be some interference or trasient voltages. Try putting a capasitor near the power for the servo. Or it may be a defective servo. 10mf put down – nothing helped, put 1000mf – all worked fine cycles! now to drive a little bit, I hope there was a problem! Wery Thаnks! Hi, this my version of your box. Hi, thanks for that but I only copied your design. I love your Moody Useless Machines. Is possible to buy it assembled? Can we replace the more expensive Mosfet with with a BJT transistor? Hi. I guess so. But not sure how to best connect it. Think you’ll need some resistors also then. Hello! what circuit connected to the arduino? For firmware atmega328 arduino or some other features in this device performs ? This i an Atmega328 chip connected like an Arduino with an extra MOSFET for controlling the power to the servos. 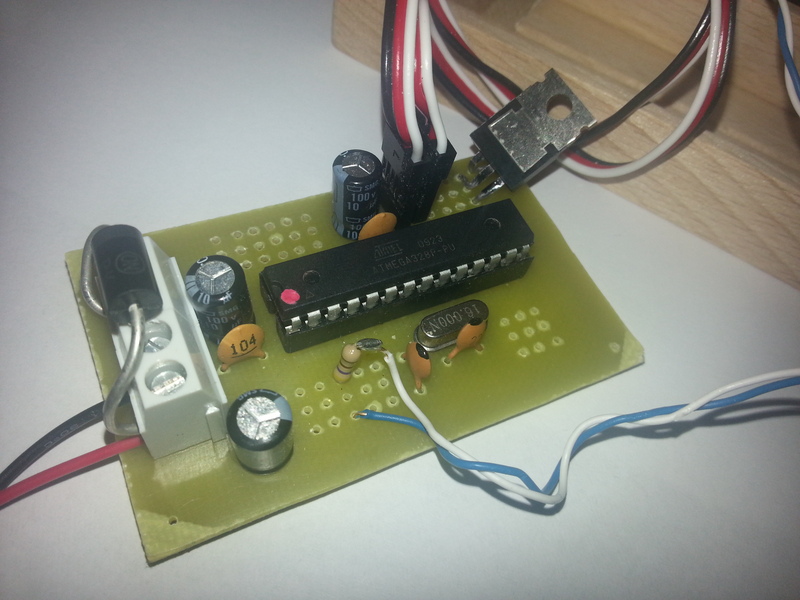 The program on the Atmega is programmed with the Arduino enviroment with the code listed above. Thanks for the answer. If I understand you correctly , I write code in atmega328 and the device will work. I do not quite understand the purpose of Arduino in this scheme . Arduino is the Windows program that compile the C code tha I wrote to machine code used by the Atmega328. Hello! I am trying to put together a kit for my dad as a gift for Christmas… he is an electrical engineer but I unfortunately have no clue what any of this is. Is there any possible way for you to make a parts list that the non-savvy people could use to at least buy all necessary parts for someone who would know how to use them??? Thanks. I hope that makes sense!! The easiest way is to buy a complete Arduino. And not create a PCB yourself. Below is a list of items you should get around with. 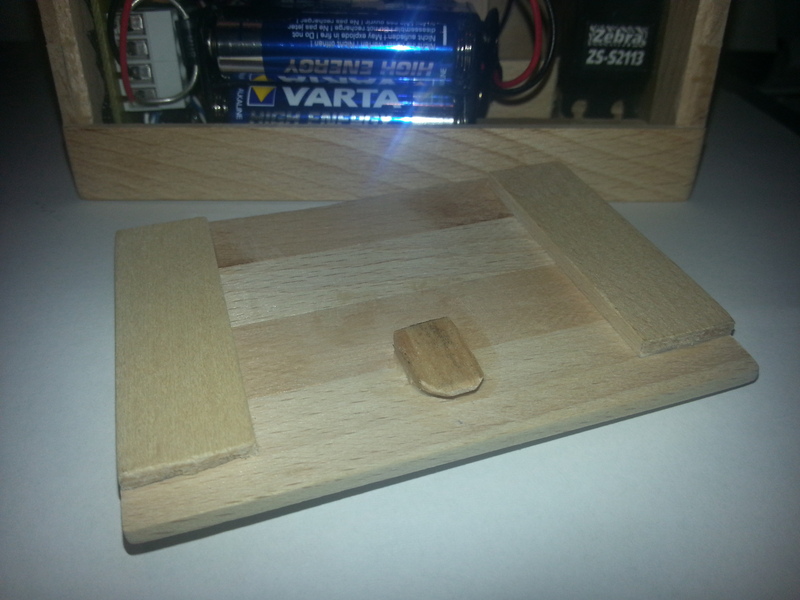 Wood and tools to make a box with lid that moves. But I’m not sure if you’ll get all from Ebay soon enough for christmas. This is Samantha’s Dad, I have the parts listed above. Is the 1000uF capacitor you had her order to be used across the batteries in place of C7 on your diagram? Hi. Congrats with the gift. I thouth 10 micro was a little low to filter out noise from the servos. There has been some problem with noise from cheap servos. 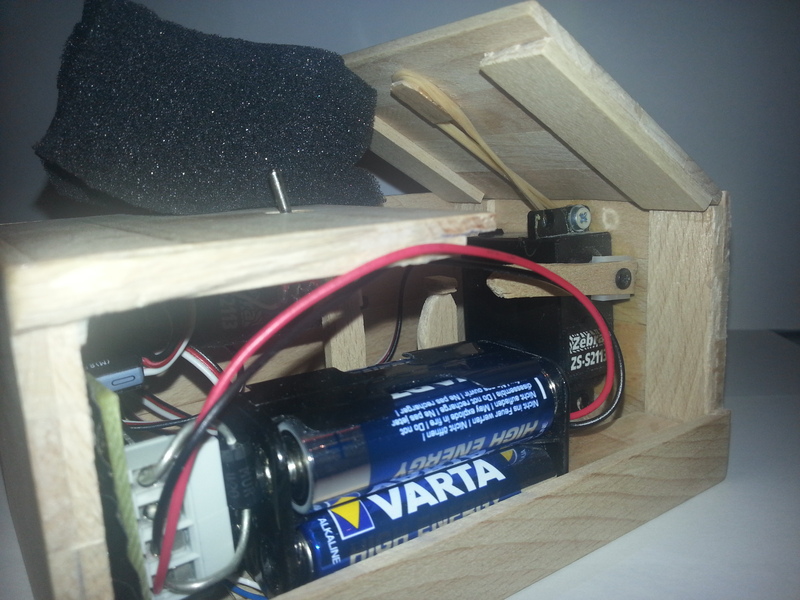 I would at first try to put it near the servos + and – on the other side of the mosfet. That would make sure the capasitor do not leak current from the battery. If you are stll experience noise issue, ie the servo moves irregular, move the cap to the battery, like C7. Hi. When i’m at it. The diode is supposed to lower the voltage from the battery 6V to appr. 5V. 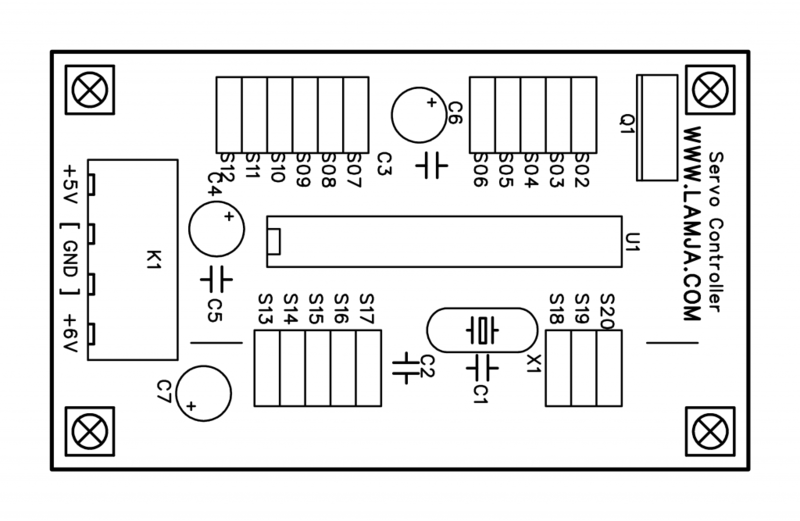 You’ll need to feed this 5V diectly into the 5V pin on the Arduino. If you are powering the arduino from USB when programming it, do not connect the 5V. I kept the 470 ohm resistor (R1) and the MOSFET (Q1). I used only one capacitor (1000uF) and placed it across the battery pack. I did not need the crystal oscillator because it is already part of the Arduino board. I used a 1N4001 diode instead of MUR420G for D1. I used a rocker switch instead of a toggle switch for the top of the box. 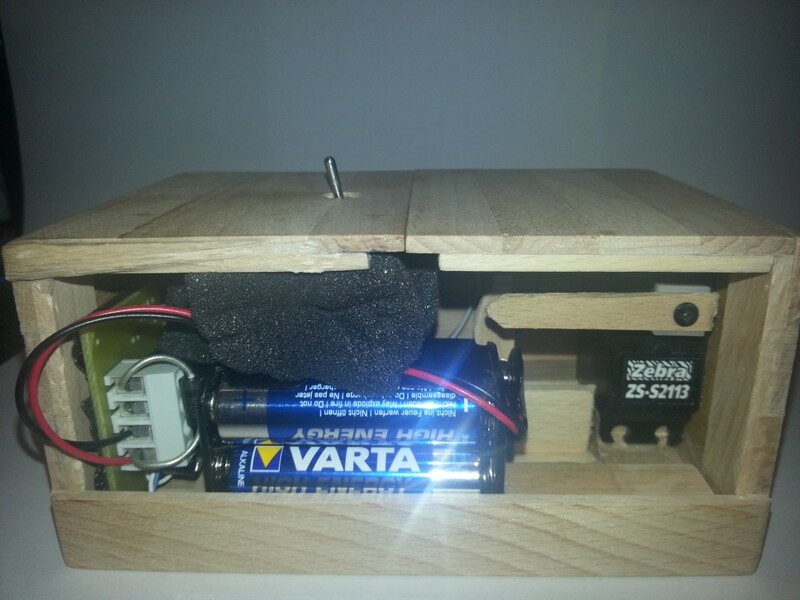 I added a toggle switch immediately out of the positive side of the battery pack and placed it inside the box – this allows all power to be shut off when not in use. I added 5 blue LEDs (IL142) to light up the inside of the box when the rocker switch was turned on. The cathode side of the LEDs are connected to the “non-ground” side of the rocker switch, the anode side of the LEDs are each connected to a 100 ohm resistor, and the other side of the resistor is connected to cathode side of D1 (which is the +5V power for the Arduino). I added four 0.1 watt, 8 ohm mini-speakers. The first pair of the speakers is connected in parallel. The second pair of the speakers is also connected in parallel. The negative end of the first pair is connected to GND and the positive end is connected to the negative end of the second pair. The positive end of the second pair is connected to Arduino Pin 10. I added sound by inserting code from the Arduino library that plays tones. I eliminated the power down code and instead placed a toggle switch inside to box to shut it down when not in use. I did this because the code got stuck in power down mode if the interrupt occurred at precisely the wrong time. I tried modifying the code but was unsuccessful. This is why I added the toggle switch. I added a couple of sequences as well. The box runs through every sequence once and then randomly selects them. I’ve added a video link for you to see the box in operation. Hi. Nice work! Liked the music. Hi. The MOSFET is to switch off the current to the servos. so they don’t use any battery power when idle. I just have build this project and have a great problem. The servos don’t work like in your video. What do I have to adjust that it works? Hi. I see you use “Continuous Rotation Robot Servo”. That will not work with this application. You’ll have to use standard RC servos (180 degrees). Oh, Ok. I was just wondering as they where mentioned in one of the above post. Thanks for the quick reply though and keep up the good work. I have made one and plan on making a few more for friends and family as gifts. Thanks for this great Project, can you send me Please the PCB bottom copper. Please give .hex file from your .pde file. I can’t loaded by PDE file. thank you so much. I do not know much about electronics. I bought a load circuit for chip and it supports only the hex file. So I can rename your files .PDE => .HEX okay? I realize this is not thing for me, i have made all the projects in the guidebook and still do not have an idea what i am doing. Therefore i have no problem to make it disappear into a useless box to never be seen again. Your box would be perfect “black hole” for my arduino. But to understand how to connect all the components on the things included in the kit to make your useless box is a bit tricky for me. I understand an extra servo is needed. Is there anything more to I need to get except from the components in the Arduino starterkit? The box and all the mechanical is no issue. Would/could you make a “easy to understand”-sketch where you show me/us how to do? Thank you so much for the Code and the idea. I built a box by myself and modified your code a bit. just want to say (for those who need more memory). I added two Variables one for actual position of Servo1 and one for actual pos of Servo2. the from parameter is taken from the variable. After moving to the final position, it stores itself to the actual pos Variable. Here the Code from the Sweep part (sorry for the German parts). However, this modifikation reduces my memory use from 30% to 26% ! I’m just trying to set the position values for the servos but I’m troubled understanding the values used here.. aren’t the values for the servo position using going from 0-179 ? I’m using an arduino UNO waiting to receive a NANO..
– It doesn’t look like you screwed the servos in (to dummy blocks). What are folks doing instead? Epoxying them in or using double-sided tape? Seems like that would sure make it difficult to replace, or to adjust alignment of the servo that turns off the switch. Or are they attached some other way, or just wedged in between wood supports? If screwed in, the side of the box would have to be removable. Hi. Epoxying did not stick well to the servo. So I used sticky tape and glue to the bottom and the side of the servo. Hi I wanted to show my Usless box. Thanks you so much for your help. That took me some time to set up, after failing to buld that atmega circuit of hell!! I finally decided to use an arduino Nano. It was a great experience. And dont understand the use of the MOFSET, can somebody explain me ? If it´s possiple to change the sketch so that i don´t need a Mosfet and the box never sleep! after a few sequences the goes off! my english is not the best! Yes. But then the box will be drained for power pretty quick. Put the working code, code of the link does not work, when you compile in the Arduino IDE produces errors. figured out, everything works in the code the error was. I was so enchanted by the first one of your boxes I built that I built twelve more and gave them to friends and family for Christmas. This was over a year ago and now I’m having a strange problem with the one I kept for myself. It’s been working perfectly but all of a sudden it has quit working (no response to the switch). I have to remove any battery and put it back in to get it to start working again. I thought I was getting corrosion on a battery contact but that’s not the problem. Obviously, I have changed the batteries with all fresh but the problem persists. I was wondering if you might have any suggestions. I was thinking that the MOSFET is starting to fail or some other component that is related to waking up. It does work for about a day after removing and replacing a battery. Then it fails again. Arvid, the thing is that the batteries are not draining. I just remove a battery and then reinstall the same battery and it starts working again. I’ll have to study the electrical schematic and try to figure out which component can cause the failure I’m seeing. I don’t want to have to make a complete new circuit board. A bad connection will not be fixed by simply removing and then reinstalling the same battery. Sorry, I never did publish the solution to the problem I reported over a year ago. The problem I described above was caused by the switch – apparently, it was starting to fail and was starting to “bounce” (Google “switch bounce arduino” for more info). I replaced the switch and the box started working perfectly again. If you notice in arvid’s code he has a bunch of lines of code repeated in one section of the program. That’s to prevent switch bounce from affecting the reading of the switch. If the bounce gets too bad those repeated lines won’t prevent the problem. I have a similar problem. Sometimes the box will go through it’s whole sequence with no issues. Other times it is just dead in the water after I press the switch. It never stops in the middle of an action. It only stops between sequences, while it is waiting for me to flip switch. It just stops and won’t do next sequence, even though I pressed the switch. I have fresh batteries. Did the same thing with fresh and old batteries. To help reset the box, I added a power switch. If I tun the box power off, wait a minute, then power back on, then sometime it makes it all the way through. Other times it locks up beaten a different set of sequences. Let me say I love your Project and I’m trying to follow it as my first Arduino project (also my first time making a PCB and only the 2nd circuit I have ever built) I have so many questions. I’m trying to follow your plans exactly but I’m a little confised being so new to all this. First, on the PCB all the extra holes that have nothing plugged into them and the copper traces that go to them, what’s the point of those? are they really necessary? Second, I see you used 100v 10uF capacitors, if I only have 25v 10uF capacitors will that still work? My last question, I have found almost all the parts, I just can’t seem to find the CMM 2×2-pol connector. I found something similar but it won’t work with the board, do you have a link to the part you bought? I can probably build this off of my UNO and use less components, but I’d rather try making my first PCB, plus I already bought most of what I need. Also, I don’t know if you have a photo or if you’d be willing to take one but I’m trying to see the underside of the PCB with the components installed. just so I can get a better idea of how the components fit into the copper traces, thanks for any help you may give while I experiment with this. Two of the boxes I made are given away. The third I don’t know where it is. I think I broke it for the photos and it probably lays in a box dismantled somewhere. Sorry. I appreciate the help. I guess I might try to figure out the placement of the components to get the traces I need and which holes I need and hand draw the PCB. Hopefully, I get the connections right. Worst case scenario I have to sacrifice my UNO and use it instead of a PCB. thanks again. So, I finally completed the build. It took me a while because this was my first attempt at something like this. I had to buy a soldering station and learn to solder, had to buy a drill press and fix an old laser printer to make the PCB, it was a lot of work and a lot of learning. Today I finished all connections and flipped the switch and got zero movement except for a small twitch for half a second. I don’t know if it’s the code or maybe I wired something wrong or didn’t solder something correctly. I checked for continuity and have it on all circuits. Is there anything you can suggest me trying to troubleshoot? Hi. Good job. If you have an oscilloscope, you can check if there is pulses for the servo on the pin from the Atmel chip. If not, you could connect a LED with a resistor in series to another pin on the Atmel, and program it to blink. Just so you know that the Atmel chip is operational, alive an kicking. You could also try to just make a simple test program to see if you get the servo to work without the mosfet. The mosfet is only there to save current when not in use. But if the mosfets pins are mixed, it will not work. Go to http://www.arduino.cc (https://www.arduino.cc/en/tutorial/sweep and https://www.arduino.cc/en/tutorial/blink)to check for tutorials for how to connect servos and LEDs, and test bit by bit. Thanks Arvid, I think the servos might be the issue. one is definitely broken, it spins past 360 degrees. the other one works fine and I tested it with the sweep function. I used the same MOSFET as you and the pins are correct, but this was my first ever PCB and my soldering skills weren’t all that great so I’m going to try to make it again, and replace the servos. I check for continuity, it’s all good, the voltage is good, I think the amperage is good and there are no shorts. after removing the broken servo the other servo would move but very slowly and only about 10% of the movement it was supposed to make. almost looked like dead batteries but they were brand new and as I said the voltage was correct for both the servos and the chip. thanks for all the help, this is a really fun project and I’ve learned so much, even if I haven’t gotten it working yet. i tried to build this, but i can’t get it getting “runnig”. Everythings works fine, but the position of the servoarm is not as in the code. Normally the arm should touch the switch at the position “770”. The sleeping position of the arm is always good, but it won’t hit the switch! Only in the sequence with the slow moving arm, the arm hits the button. When the arm moves faster, it stops over the switch and won’t hit it!